Modern steampunk sunglasses, round frame with flat top. 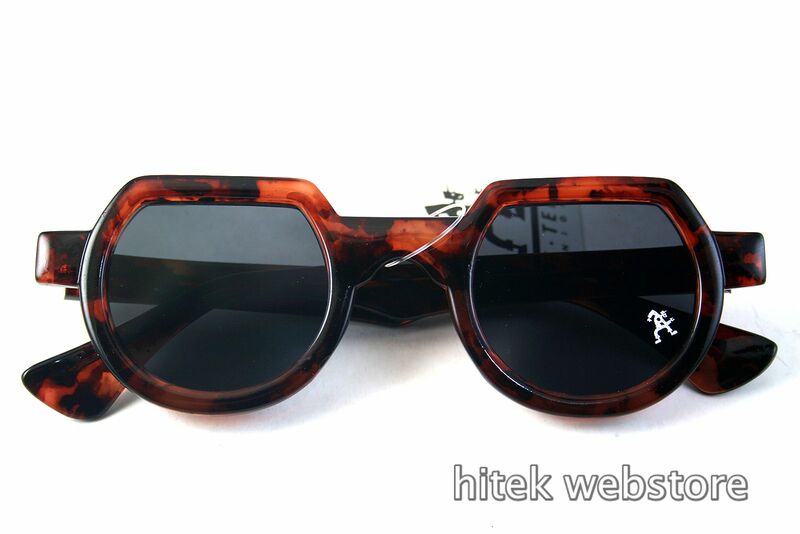 Tortoiseshell plastic frame with smoke lenses. Suits most faces, generally small to medium fit. Frame across hinge to hinge is 136mm.Lens diameter is 44mm.Temples are 105mm till curving point.